Although volatile in nature, essential oils can assist you with some of your most pressing challenges. With hair, they can help to stimulate growth, soothe an itchy scalp and rid your scalp of bacteria and fungus. Looking for a way to create a calm and tranquil environment? Known for their use in aromatherapy, essential oils have been said to provide a way of doing just that when used in diffusers that distribute the mist throughout your space. Whether it's for hair, skin, body or your environment, essential oils will help you find just the right blend for your beauty regimen. Here are 8 Essential Oils that are often used to help you care for yourself and your environment. They will introduce you to the world of scent the natural way as well as their use in natural skin and hair care: Bergamot, Frankincense, Lavender, Lemongrass, Myrrh, Orange, Rosemary and Spearmint. Bergamot - In hair care, bergamot stimulates the blood flow to your hair follicles, thereby strengthening your hair and its roots. In natural black skin care bergamot acts as an astringent, cleanser and antiseptic. Great for oily, acne, psoriasis and eczema challenged skin. In aromatherapy, bergamot is known to act as a sedative as well as be used for uplifting anxiety, depression and nervous tension. Frankincense - In natural hair care, Frankincense is said to make your hair roots stronger, which stops the shedding and falling of hair from your scalp. 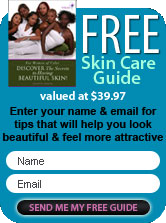 In natural black skin care, it promotes the regeneration of healthy skin cells. Has been known to aid in minimizing stretch marks and scarring. In aromatherapy, frankincense is said to elevate and soothe your mind, producing a feeling of calmness. It's been said to ward off evil spirits. The priest don't burn this in the temples for nothing. Lavender - Considered the most versatile of essential oils, is an antiseptic, healing and pain relieving oil. In hair care it is said to work to help prevent hair loss and control, if not eliminate dandruff. In natural black skin care, lavender essential oil, is good for all skin types It's been known to balance, detoxify, stimulate circulation and aids in treating small burns on your skin. In aromatherapy, lavender essential oil is known to cleanse and soothe your Spirit as it relieves anger and exhaustion. Lemongrass - In natural hair care, Lemongrass has been known to strengthen your hair follicles, as they promote hair growth. In natural black skin care, lemongrass is used as a tonic, cleanser and as an astringent. It is especially good when used on oily skin. In aromatherapy, lemongrass essential oil stimulates, revives and energizes. It's often referred to as the drivers oil, as it is known to bring your energy level up when traveling on long trips. Myrrh - In hair care myrrh has been used because it is known to strengthen your hair follicles. In natural black skin care, myrrh is known to have powerful preservative properties that check tissue degeneration. It has been known to effectively deal with eczema and athlete's foot. 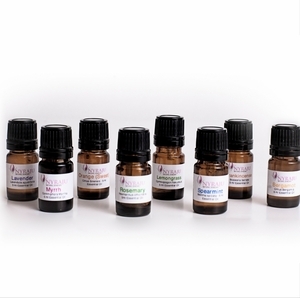 In aromatherapy myrrh essential oil is known to lift feelings of weakness, apathy and lack of incentive. It's also known to cool tensions. Orange (Sweet) - While it's not an essential oil that you would apply and go directly into the sun wearing it, it is known to help with bacterial and fungal infections in your scalp. It's also great for breaking up waxy sebum on your scalp and balancing an oily scalp. In natural black skin care it's been used to improve your skin's texture and tone, heal acne and aid in removing toxins from your skin. In aromatherapy orange essential oil is used as an uplifting oil. It will dispel tension and stress as well as revive you when feeling bored and lacking energy. Rosemary - In natural hair care, rosemary essential oil has a reputation for stimulating hair growth and has been used by many cultures for centuries for growing hair. It's also used to reduce hair loss. In natural black skin care rosemary acts as an antiseptic and is used to treat blemished skin as well as oily skin. In aromatherapy, rosemary is known to, clear your head, aids in memory and is good for mental strain, general dullness and lethargy. Spearmint - While we all know and have been introduced to peppermint essential oil, it is a hybrid oil that's a combination of spearmint essential oil and water mint. Spearmint is an anti-inflammatory oil. It stimulates blood flow to your scalp which carries more nutrients to your scalp. In skin care, spearmint has been used to soothe itchy skin and in aromatherapy it aids in stimulating a tired mind. These are just 8 Essential Oils that are used in the beauty industry when caring for African American challenges with skin and hair. One of the main things to remember is that all essential oils are to be diluted with carrier oils. Carrier oils are jojoba, coconut, grape seed, apricot and olive oil. Shea butter is also a carrier agent.